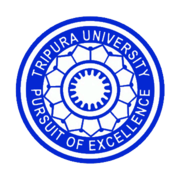 Tripura University Recruitment 2019 - Walk in for Consultant Posts in Tripura University, Tripura on Contract Basis. Candidates are invited by University of Tripura to attend walk-in-interview to be held on 22 Feb 2019 at 02:00 PM for 1 vacancy. Eligible candidates may appear for interview along with duly filled application form in prescribed format (attached below) and self-attested copies of mark-sheets from Matriculation/ Madhyamik onwards, PPO, if any and also certificates in support of their working experience along with the CV and original documents for verification.